If you plan to start working on your dissertation, choosing a title is one of the most important decisions you have to make. The title summarizes everything in the paper and creates a first impression for the reader. It is one of the toughest decisions you have to make and for most students, it becomes a hurdle even before the project starts. There are multiple options to choose from and this only makes things worse. There are various ways to go about choosing a dissertation title including dissertation writing services for suggestions. 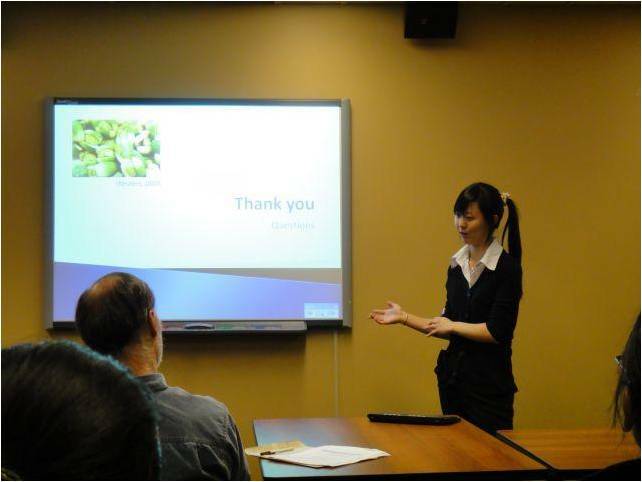 A student making a dissertation presentation. It all starts with a good title. This article highlights some crucial tips to help you make the right choice. Keep reading. A good title should communicate the topic and focus of your research. As such, you have to evaluate what your research is about and the specific purpose of the project. Without knowing what you want to achieve with the paper, there’s no way you can choose a good title. To choose a dissertation title, carefully review the subject and focus of your research. It is possible to choose a title for your dissertation based on the approach you want to take in your study. The approach you choose will affect the design and results of your research and you can get material from this to compose a good title for the paper. By using the research approach to create a dissertation title, you give the reader an idea of what to expect in the paper. Research work doesn’t happen in a vacuum and it is thus important to seek inspiration from similar published works in your field. Such works will not only boost your research work but you will also find invaluable tips on crafting a good dissertation title. Create a shortlist of ideas from these published works and continue brainstorming as you come across new topic ideas. To capture the attention of a reader, you can choose to include a hint of the research outcome in your dissertation title. Most readers want an idea about the entire research, in this case, your findings and by adding a hint in the title, you will spike their interest. You will lure the reader into the research paper by alluding to the outcomes in the title and they will keep reading to find out how you came to such outcomes. A dissertation is an important document in your master’s degree program. It will largely influence your qualification, and as such, you need to provide the paper with a clear and precise title. Your professor and the dissertation committee have no time for guesswork and you need to communicate what the research is about with the title. Writing a master’s thesis or dissertation title is not easy and it can delay the project for some time. To avoid this scenario, follow these tips and make sure you write a clear, meaningful, precise and focused dissertation title.